We have been examining development projects in coastal communities where many people make their livelihoods as fishers. From our research, we can make this broad generalisation: a project’s success relies largely on how well it aligns with the way people live their lives. In more practical terms, what we mean is that fisheries development projects are more likely to have lasting positive impacts if they make enhancements to existing activities than if they introduce new or alternative activities. These scholars largely set their thinking against a modernisation paradigm: Formulated by Walt Rostow, political advisor to the US presidents John F. Kennedy and Lyndon B. Johnson, the so-called “take-off model” proposes that societies transition through stages of development from “traditional” to “mass consumption” as they modernise. This neoliberal view of economic development – as a linear process facilitated through “big push” capital investments into a few sectors – fitted the political sentiments of the time. Kennedy declared the 1960s a “Decade of Development” based on this way of thinking. The emphasis in this model was evidently to identify what the poor did not have. Strengthening people’s own inventive solutions or building on what people have and what people do makes a lot of sense. 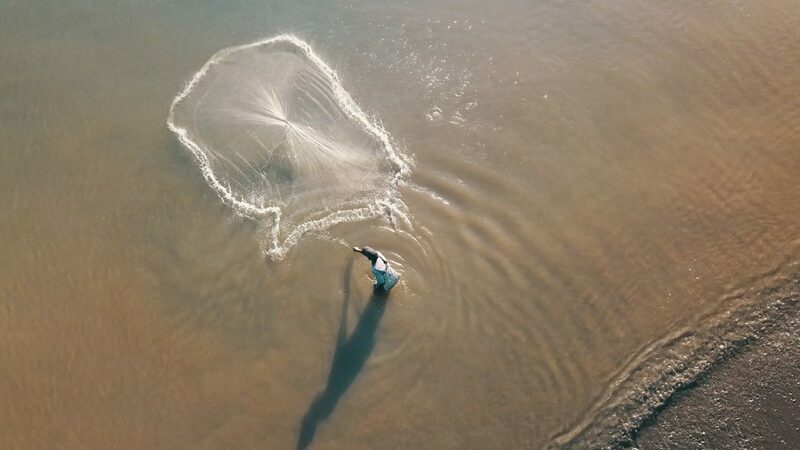 For us, this means working with people who fish, process, and trade fish, and seeking ways to make improvements to these activities through research. People have a range of assets that enable them to carry out their roles as fishers or as processors or traders of fish. These assets can be built on, rather than introducing something totally new that replaces such assets or ignores people’s identities. This concept is the emphasis in a WorldFish-SwedBio project. 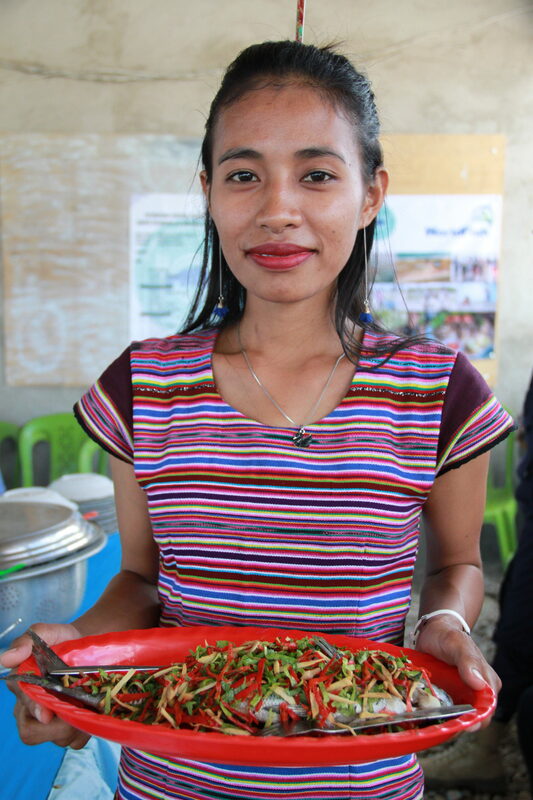 Fish cooked by a women’s group in Illilai, Timor-Leste. Photo: Hampus Eriksson, WorldFish. Replacing the big-push modernisation thinking in development may be old news. But our case studies show that the rural development mantra to diversify livelihoods also has its limits. Abundant evidence shows that diversified livelihoods help poor and vulnerable people endure difficult circumstances, leading to diversified livehoods being used more and more in development practice. Diversity of livelihoods has been highlighted in one of the seven principles for building resilience, to “maintain diversity and redundancy” in social-ecological systems. Diversifying livelihoods is also found to be a key mechanism in breaking poverty trap situations.2 2. Haider, L. J., Boonstra, W. J., Peterson, G. D., Schlüter, M., 2018. Traps and Sustainable Development in Rural Areas: A Review. World Development 101:311-321. DOI: 10.1016/j.worlddev.2017.05.038 See all references Notably, this is an area where science has had a solid impact on development programmes. But the theoretical concepts are not easily translated into concrete action to improve people’s lives. The opportunities that people have immediately available to them, their desire to pursue ideas, how they identify themselves, and their capacity to engage in new activities vary. So what are fishers actually meant to diversify into, and how? The answer is still not clear, but requires much more depth than simply “diversifying”, as a normative solution. 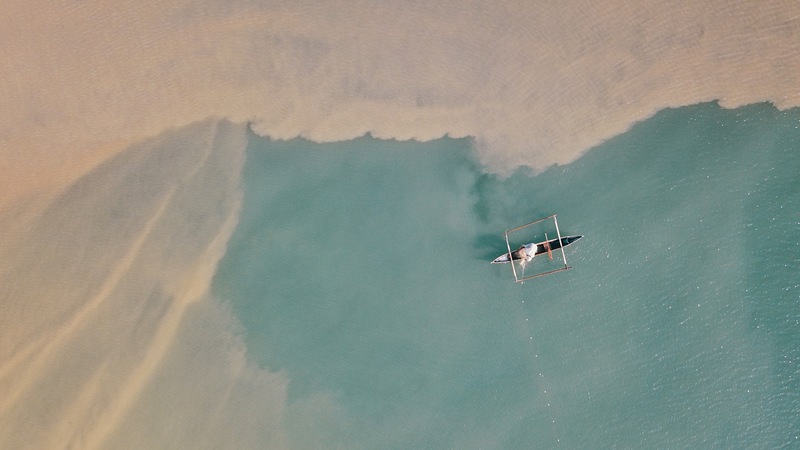 We know that donors and external agencies find it appealing to operate programmes that seek to encourage fishers to develop alternative livelihoods such as farming giant clams, starting a shop, or setting up a homestay for eco-tourists. But all too often these “alternative livelihood projects” end up in the same way as the projects they were intended to replace – as white elephants. The language of livelihood diversification broadly infers that poor people should be doing more, and should be doing something different. This is rather unspecific advice. Translating the values-laden language around diversification into supportive action for people is a challenging prospect that few scholars have been willing – or able – to take on. Fish and ice in the sun. Photo: Wade Fairley, for WorldFish. Our stories all exemplify participatory action research that enhances existing fish-based livelihoods, rather than replacing them.5 5. Apgar, J. M., P. J. Cohen, B. D. Ratner, S. De Silva, M.-C. Buisson, C. Longley, R. Bastakoti, and E. Mapedza. 2017. Identifying opportunities to improve governance of aquatic agricultural systems through participatory action research. Ecology and Society 22(1):9. DOI: 10.5751/ES-08929-220109 See all references The women already trade with fish; the research focuses on making improvements to their trade. A guiding principle for our current model of enhancing rural livelihoods can be found in Ernst Schumacher’s 1973 book, Small is beautiful: a study of economics as if people mattered. The “Small is beautiful” epithet embodies the emphasis on locally appropriate activities that align with the way people live their lives – and, for our work together, can more aptly be summed up as “small fry are beautiful”. Three key strategies emerge from our stories to support people’s objectives for self-driven rural development: build on existing strengths and organisations; prioritise simple technologies that make improvements to current activities; focus on local products for local markets. Making efficiency improvements to fishing doesn’t fit with the “livelihood diversification for conservation” narrative. On the contrary, in theory, making improvements to fishing can perpetuate overfishing. So the conundrum is this: a livelihood-enhancing programme is more likely to be adopted and have consequent impact beyond the project’s lifetime but, in households directly dependent on natural resources for their livelihoods, does such a programme perpetuate overfishing by improving efficiency? Fishing on the fringe. Photo: Wade Fairley. Branded as “Jevons’ paradox” after the seminal writings of William Jevons in the 19th century, the long-term impact of efficiency improvements on sustainability remains unclear. For example, one cannot say that if fishers adopt a technology that halves the time it takes to catch the same amount of fish, they will do something else with their time other than catch more fish. While livelihood diversification has become standard in development programmes, we argue that it may not always be the answer. Building on what is already present can also work and probably have higher rates of adoption. Our focus is on participatory action research to support locally appropriate innovations that enhance fish-based livelihoods.7 7. Apgar, J. M., P. J. Cohen, B. D. Ratner, S. De Silva, M.-C. Buisson, C. Longley, R. Bastakoti, and E. Mapedza. 2017. Identifying opportunities to improve governance of aquatic agricultural systems through participatory action research. Ecology and Society 22(1):9. DOI: 10.5751/ES-08929-220109 See all references In this approach we listen to the ideas of our research partners – the women’s groups – and experiment together. In this way, we hope to avoid white elephants. 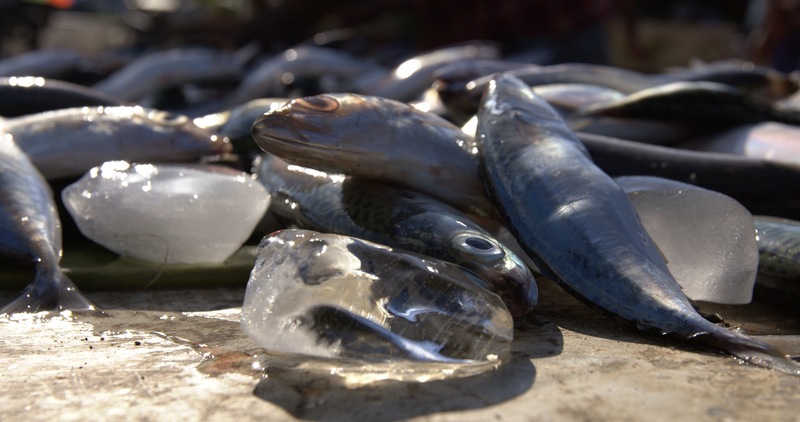 Read more about WorldFish efforts to make that shift in the stories in this “Small fry” series: White elephants in small-scale fisheries, Freezing fish in rural Solomon Islands, Preserved sardines in Timor-Leste, Salting tilapia in Zambia. Opening image: Throw net. Photo by Wade Fairley.